“The boys are back in town, the boys are back in town!” Anyone else remember this 1976 top hit song by the Irish Hard Rock Band, Thin Lizzy? Even though I was not born in that memorable era, my mind kept replaying that song as Jason and I attended the Run to the Sun Car Show yesterday at the Old Myrtle Beach Square Mall by the Myrtle Beach Convention Center. Instead of the boys are back in town, let us change it to souped up corvettes, 1950s Hudson Hornets, and sleek red 1932 Ford Model B antiques. 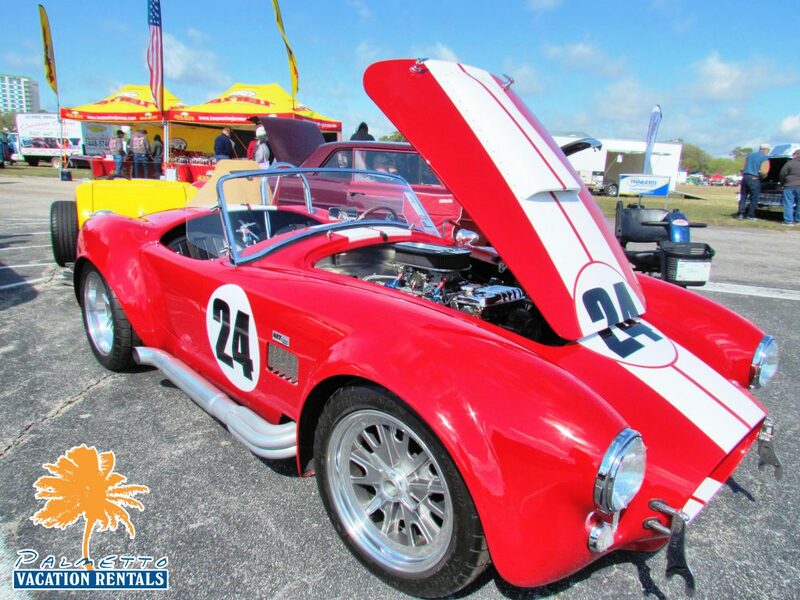 We had an awesome time exploring the 3,000+ vintage automobiles, trucks, and car part vendors. 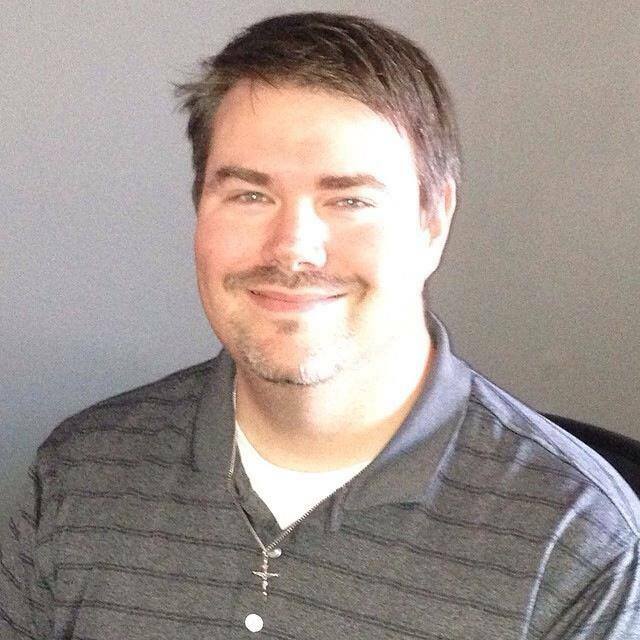 As Jason graciously put it, “It was if all my favorite matchbox cars were real and in one place.” His favorite was the sleek and black 1970s Dodge Challenger. 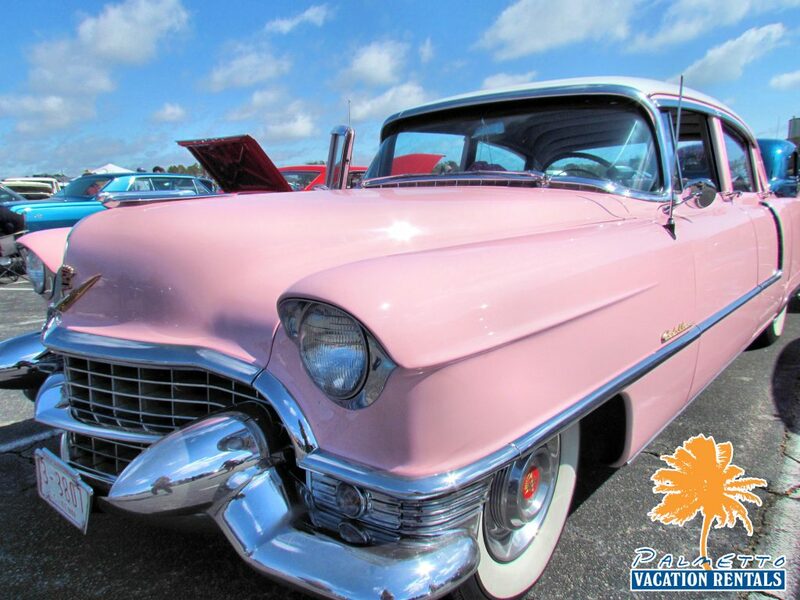 Mine on the other hand was Elvis Presley’s Famous 1950s Pink Cadillac. Do not worry that you missed out-the fun is only beginning. 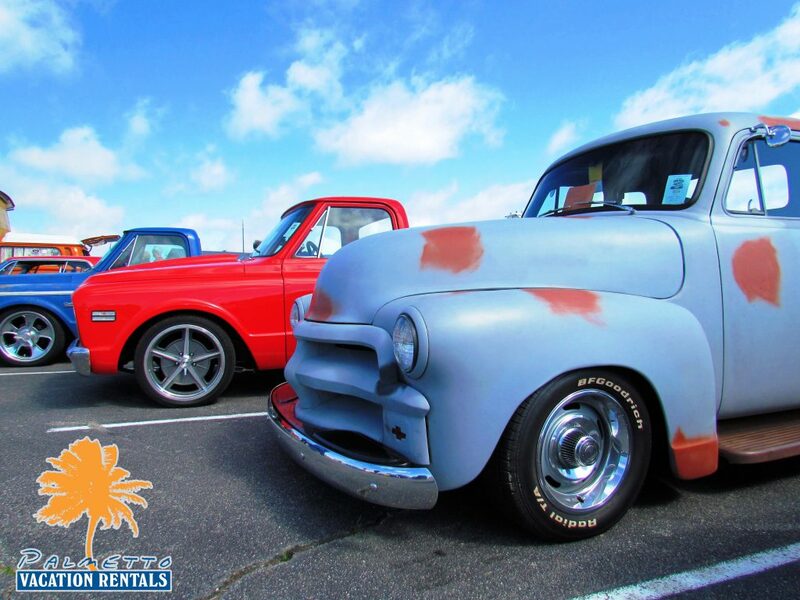 Today and tomorrow, the Pee Dee Street Rodders are back at it! The show location is at the Old Myrtle Square Mall located between 21st & 29th Ave. on Kings Highway. It is free entry for all nonparticipants and held between 8:00 AM-5:00 PM on both days. Not only will you be able go back in time as you explore renovated Volkswagen buses and exclusive Plymouth Superbirds, but you will have time to interact with the car owners themselves and enjoy delicious barbecue. Run to the Sun Car Show is truly for everyone! Believe me, I know little to nothing about measuring torque, turbochargers, and engine displacement. Jason on the other hand knew almost every car model we passed by and a vast array of car lingo. Be ready to be enthralled by everything that the show has to offer! There will be over $10,000 given away in prizes throughout the three day events. Also the proceeds from the Run to the Sun Car Show will go towards Children’s Miracle Network, Horry County Benevolent Fund, and Grand Strand Miracle League. Last year alone they donated $97,000.00! Now that the basics are covered, get ready to engage the clutch, turn on the engine, release the handbrake, and shift into the appropriate gear. Or you can just turn on your car and go into drive mode if you have an automatic automobile! 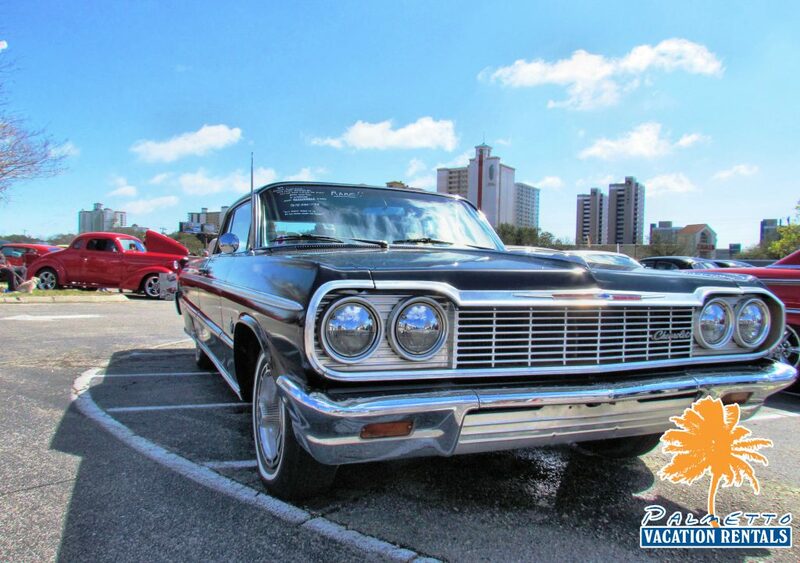 It’s time to ride into the Run to the Sun Car Show! 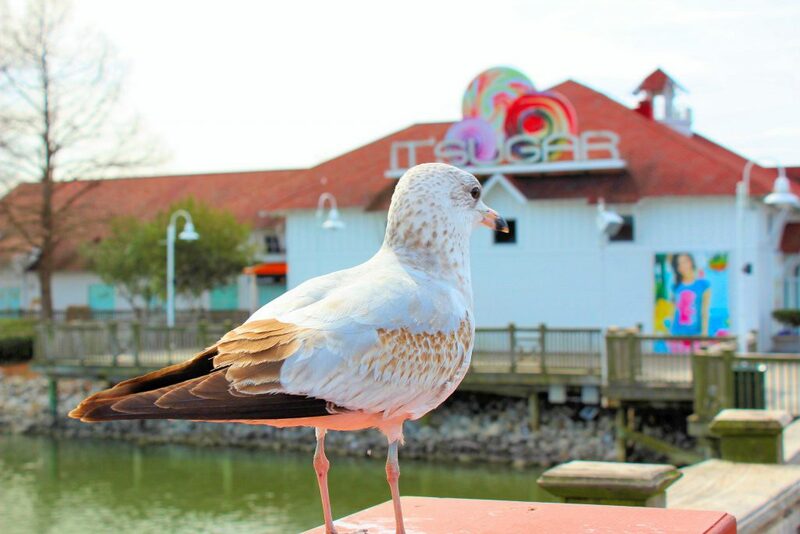 It’s Sugar is a must stop on your next Myrtle Beach Vacation! 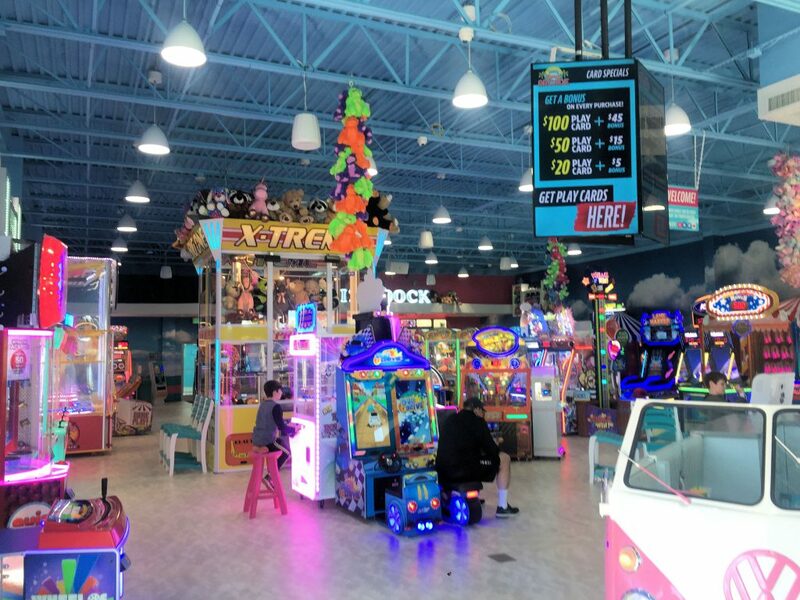 If you are looking to experience child-like euphoria on your next Myrtle Beach vacation, be sure to check out one of the most unique shops on the Grand Strand! 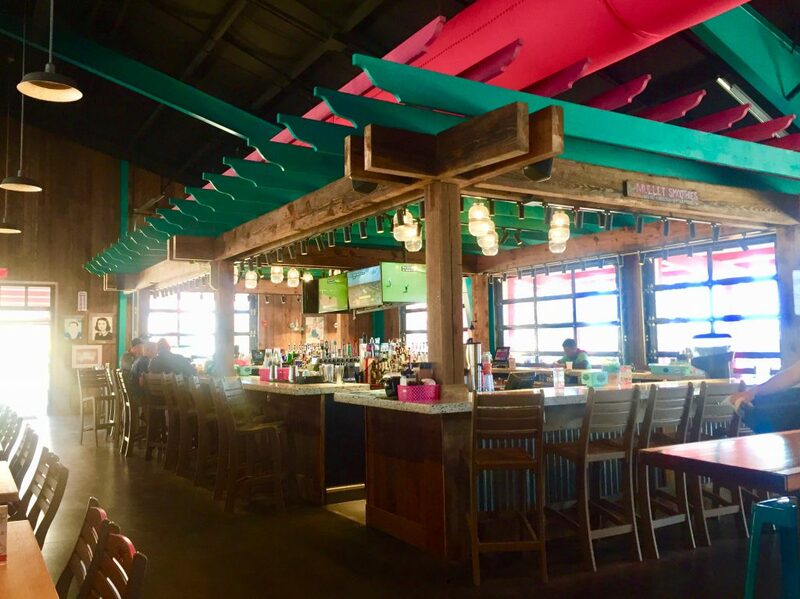 Located at Broadway at the Beach and Barefoot Landing, It’s Sugar will have you landed right in the middle of sweet’s heaven. Jason and I were able to visit It’s Sugar at Broadway at the Beach this past Wednesday during a mid-day snack break. 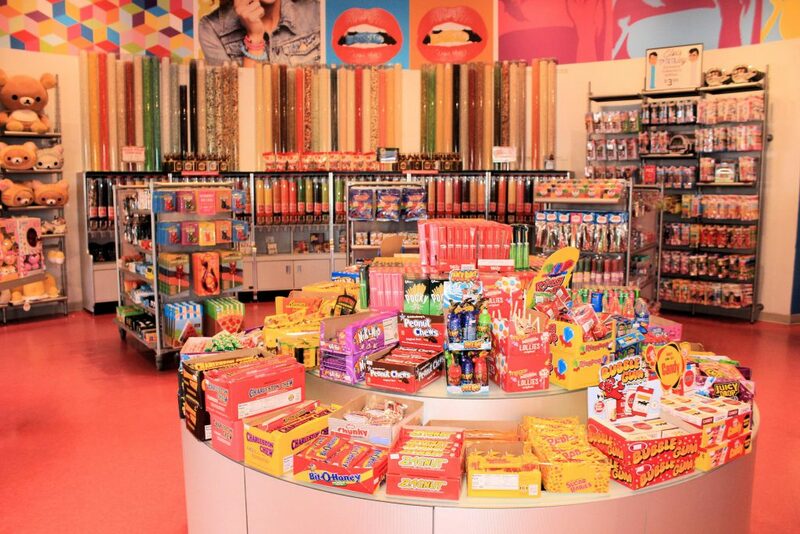 Immediately upon entering, we felt like we had just entered into candy paradise! Huge boxes of Nerds, giant five pound edible gummy bears, and a large jelly bean wall were just a few of the items we first noticed. To say Jason and I were excited is an understatement! 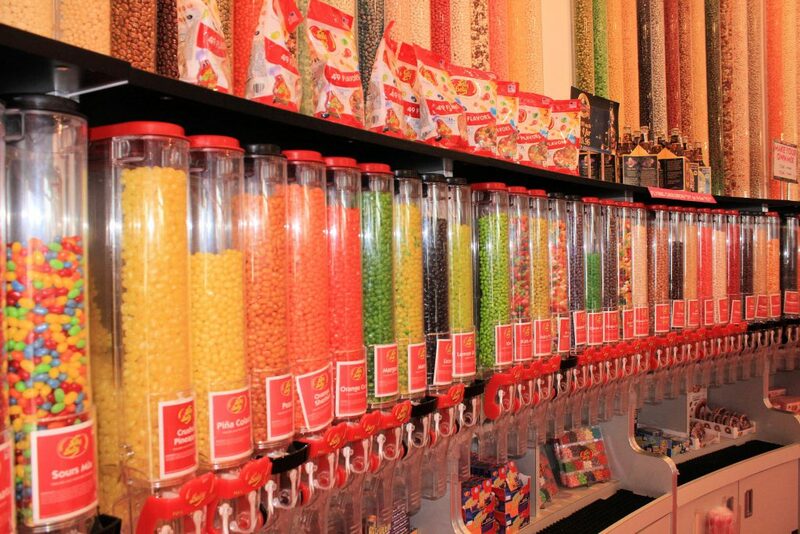 Everywhere we turned, we would be met with more and more captivating and colorful candy. Ranging from travel size sour patch kids candy perfect for the afternoon goody to giant one pound reese’s cups to share with the family, the options were endless. Believe me, Jason and I were ready to devour the chocolate malt balls and oversized rice krispy treats right there in the store. But through self-control, we were able to continue our adventure through candyland. It’s Sugar also offers a variety of gifts perfect for their customers to surprise their loved ones with! Going with the theme of It’s Sugar “the bigger, the better”, we found gigantic cuddly stuffed bears, emoji pillows, and candy boxes sets. Along with that, their were traditional size candies such as M&M’s and Lollipop’s that you can take back to your vacation rental. It’s Sugar truly has something for everyone. The store is designed to bring out the child in every adult. Even the locals love it! It’s Sugar was originally founded in 2006 by Jeff Rubin in Atlantic City, New Jersey. Since then, It’s Sugar has expanded to over 100 locations throughout the country. This place is taking the candy retail industry to the next level. Be sure to taste and relish in all the sugar you love on your next vacation to It’s Sugar in Myrtle Beach and be sure to book your stay with Palmetto Vacation Rentals. Your taste buds will be shouting a big thank you! Originally from New York, Alison moved to the Myrtle Beach area with her family twelve years ago. Gamecock at heart, she graduated from the University of South Carolina with a marketing and entrepreneurship degree in May of 2017. When Alison is not spending time taking photographs around the Myrtle Beach area, you can find her writing, dancing, or on some type of adventure. Fun fact, she just spent this past year living abroad in Cape Town, South Africa! The highest quality of ingredients and flavors! 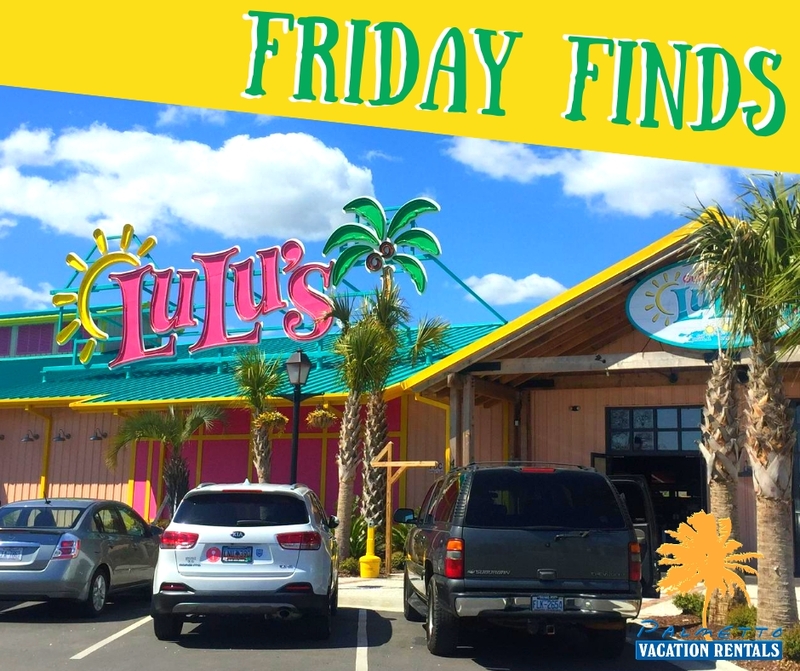 Welcome to our first installment of Palmetto Vacation Rentals “FRIDAY FINDS”. 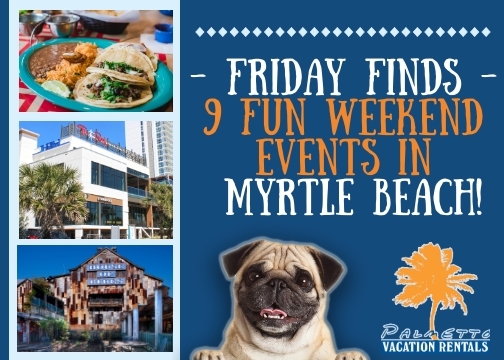 Each week we’ll be visiting local businesses and attractions, bringing visitors to the Grand Strand a taste of new places to visit and focusing on attractions that are off the beaten path. This week we visited “The Uncommon Chocolatier” a brand new fudgery located in the heart of The Market Common in Myrtle Beach. 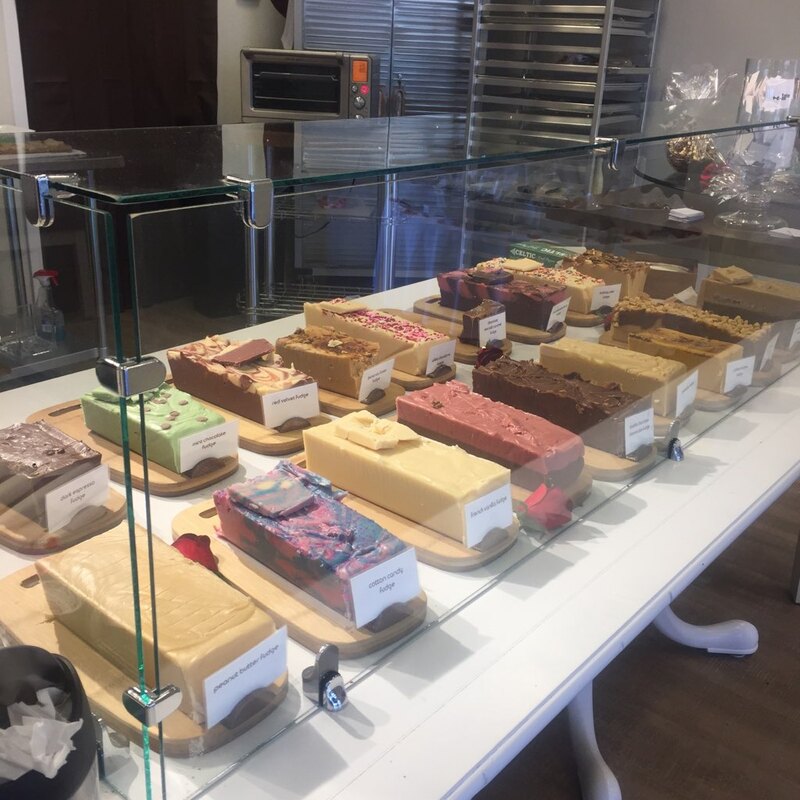 Made from the finest ingredients, The Uncommon Chocolatier offers a variety of handmade fudge, chocolates, and gift items. Fudge is a staple of Myrtle Beach shops, restaurants, and markets. For half a century, travelers have been able to find fudge at mom and pop stores all along the Grand Strand. Usually only offering Chocolate and a few other flavors to eager travelers, the fudge presence here is as ubiquitous (and drab) as saltwater taffy, hermit crabs, and $99 cent shark tooth necklaces. But, No longer! Today, Alison and myself have discovered a culinary pleasure that would make Gordon Ramsay silent with content. Originating in Pittsburgh, The Uncommon Chocolatier was started by Christine Falvo. Christine was inspired by her mother, Teresa and now has a third generation of fudge makers in her granddaughter, Elle, whom we spoke with this afternoon. With over 35 varieties of fudge, chocolate-dipped fruit, and even specialty items, such as chocolate footballs, you can easily spend a whole day sampling and debating which is your favorite. Good luck, though – they are ALL fantastic! Some of the most amazing taste combinations and textures can be had such as: Crème Brule, raspberry cheesecake, cherry bourbon, chocolate strawberry, birthday cake, bananas foster, peanut butter, mint chocolate, red velvet, and “Unicorn Poo” (Cotton Candy – it’s delicious, I swear!). The décor of the establishment is classic and inviting and is only rivaled by the breathtakingly artistic designs and textures of the main attraction – the fudge. 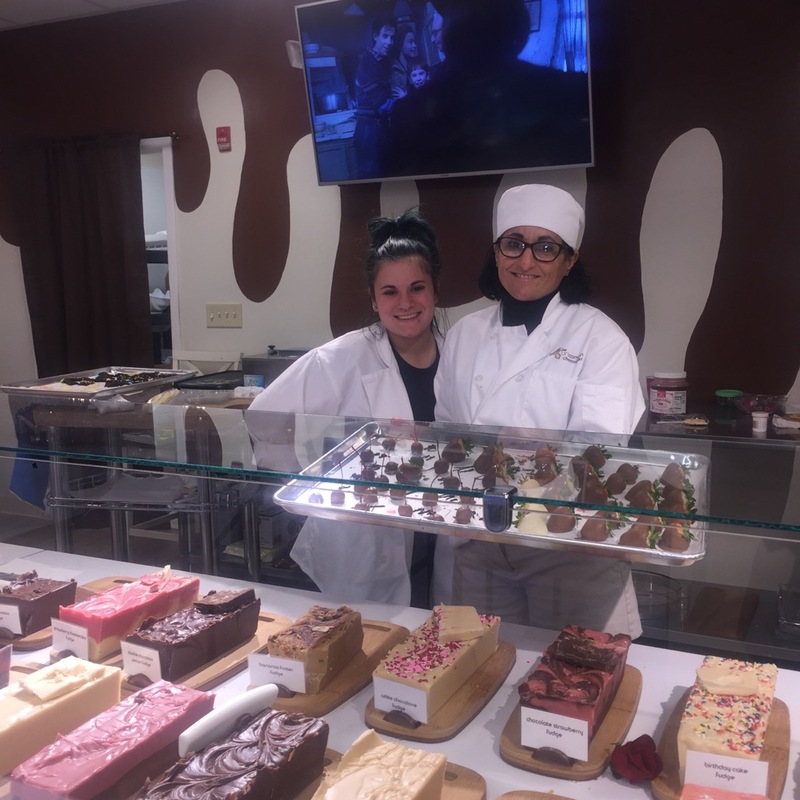 Great care is taken by their artisans Elle and Brittany as you’ll find candy, nuts, and other delectable toppings that make it almost too pretty to eat – ALMOST! 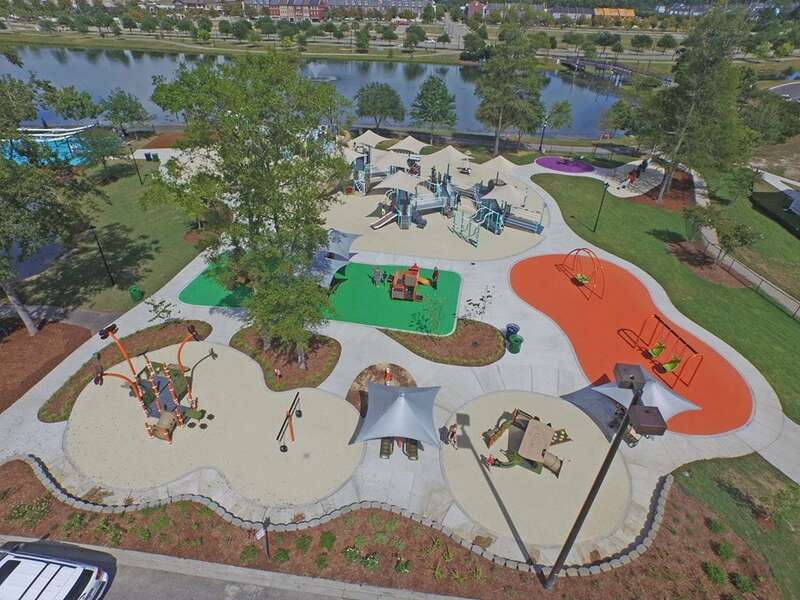 The next time you are near The Market Common, take time to stop in and sample this very unique delight on the Grand Strand. You’ll be glad you did! You can find the Uncommon Chocolatier at 3351 Reed Street in the Market Common. Be sure to like and follow them on Facebook under “The Uncommon Chocolatier”. What to wear to the Beach in Winter? 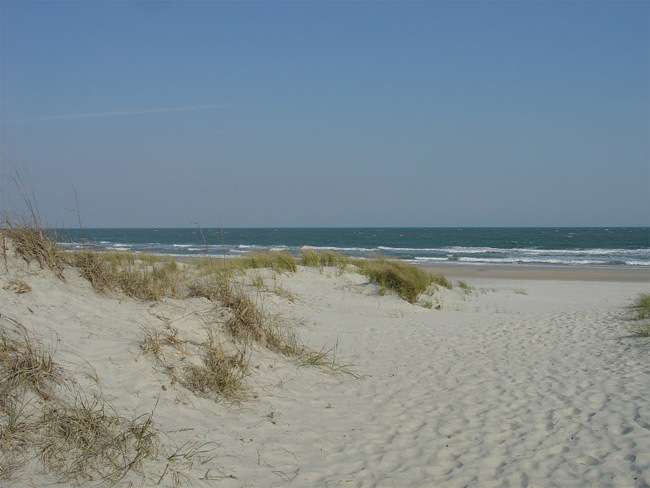 Winters on the beach are especially chilly and the weather at Myrtle Beach is no different. However this doesn’t stop vacationers from enjoying their time at the beach. 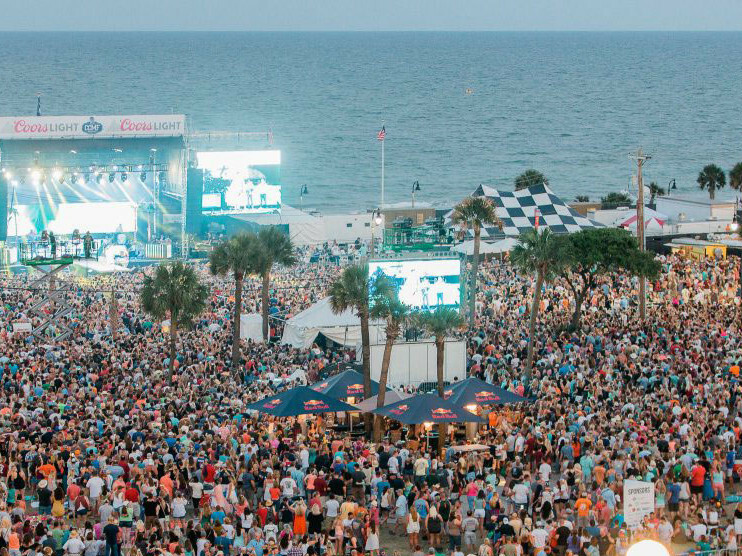 The easy availability of vacation rentals at Myrtle Beach is one of the prime reasons why people love thronging the Grand Strand. 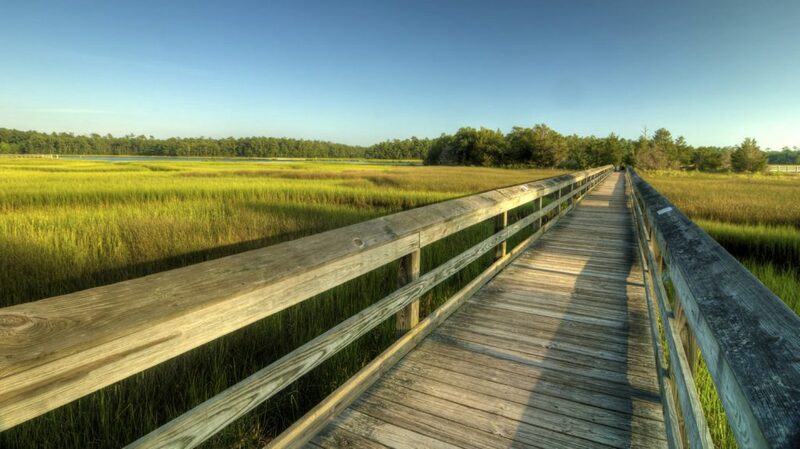 Take a quick peek at what the weather is like at Myrtle Beach before you begin the journey. Usually it is advisable to wear capris or full length trousers that you can easily fold from the ankles up. You don’t want those bottoms getting soaked in the cold sand and making you unwell. Use tight tops with a sweater to protect against the cold breeze. While we all love sunbathing in the summers but the cold weather is different. The sand and water reflect sunlight more aggressively causing sunburns. 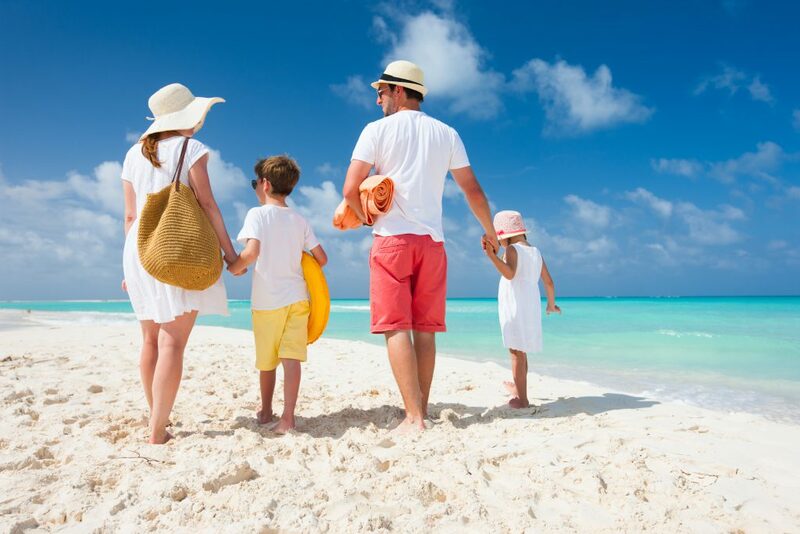 Make sure you use ample amounts sunscreen and wear shady hats to protect against the sun’s violent rays. You might think it is absurd to wear a bikini to the beach in winters. It might not be the case. Myrtle Beach can at times offer sunlight that counters the cold breeze and makes the weather suitable for an outing in a bikini.